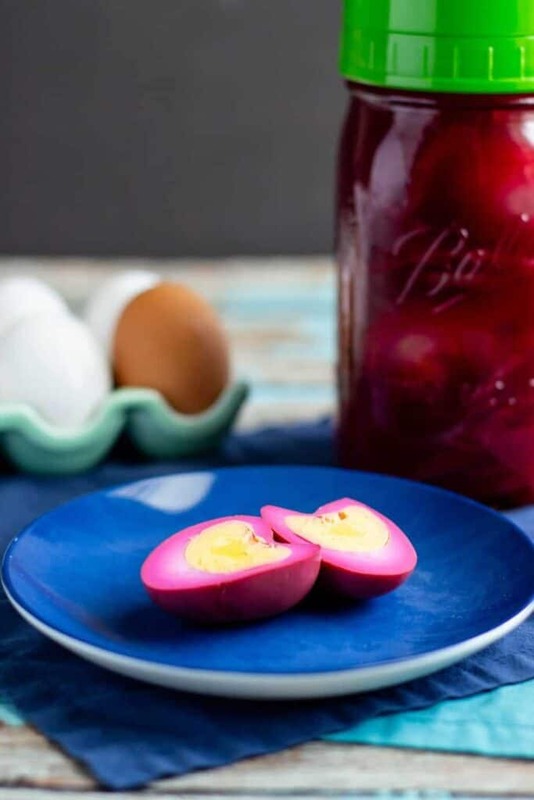 Homemade Beet Pickled Eggs are as tasty as they are pretty. Know what’s even better than that? They’re super easy to make, too! What does making pickled eggs involve? Truth be told: not much! 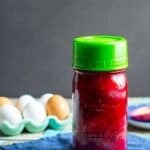 After just a few easy steps, plus a little time stashed in the fridge, you too can have delicious beet pickled eggs. Just combine beet juice, vinegar, sugar, and spices in a saucepan and heat until the sugar has dissolved. Allow the mixture to cool a bit before letting your eggs hang out in this liquid (after adding sliced beets and red onion) for at least 24 hours and voila! Pickled eggs. 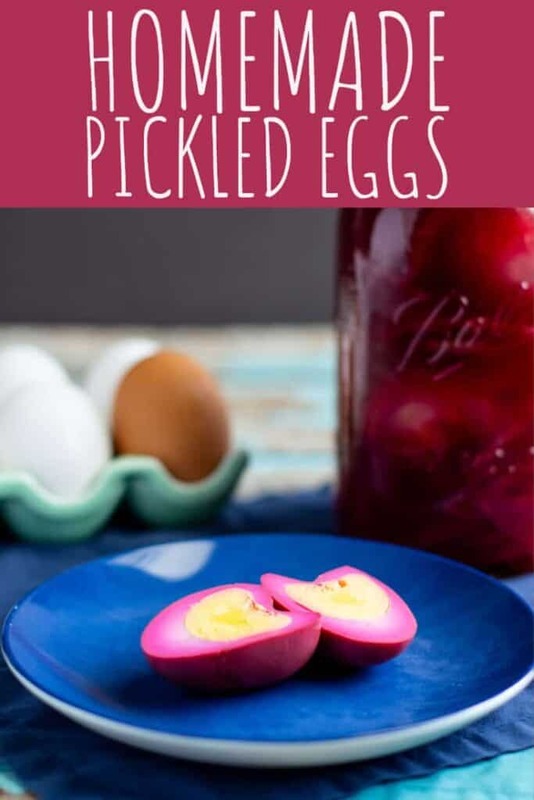 What should I do with pickled eggs? You may be wondering “what should I be doing with these beet pickled eggs?” Well, first of all… just eat them! I like to sprinkle them with a little kosher salt and go to town. Pickled eggs are a classic bar snack, so I’d also recommend enjoying them with a cold beer. But really, pickled eggs also good in pretty much any case when a regular hard boiled egg is needed. They’d be good when sliced up and added to a salad. Or! 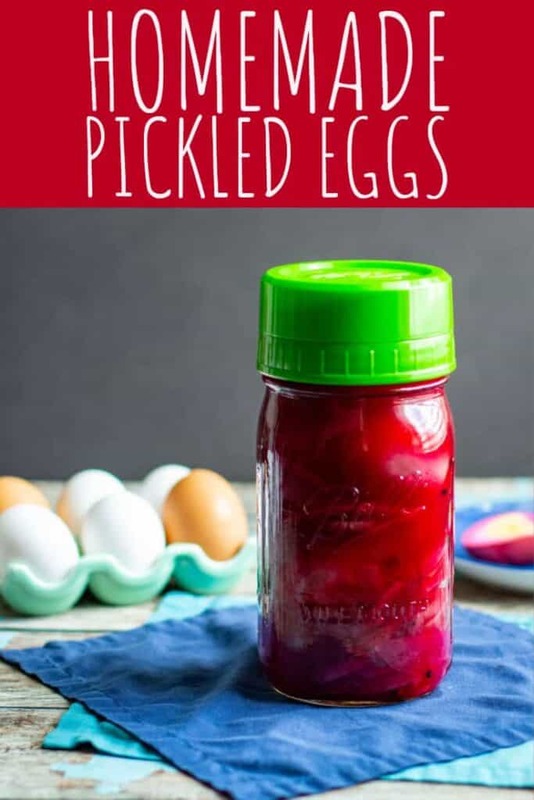 Make pickled egg-egg salad! That could be really good. Speaking from personal experience, they’re fabulous when made into deviled eggs. 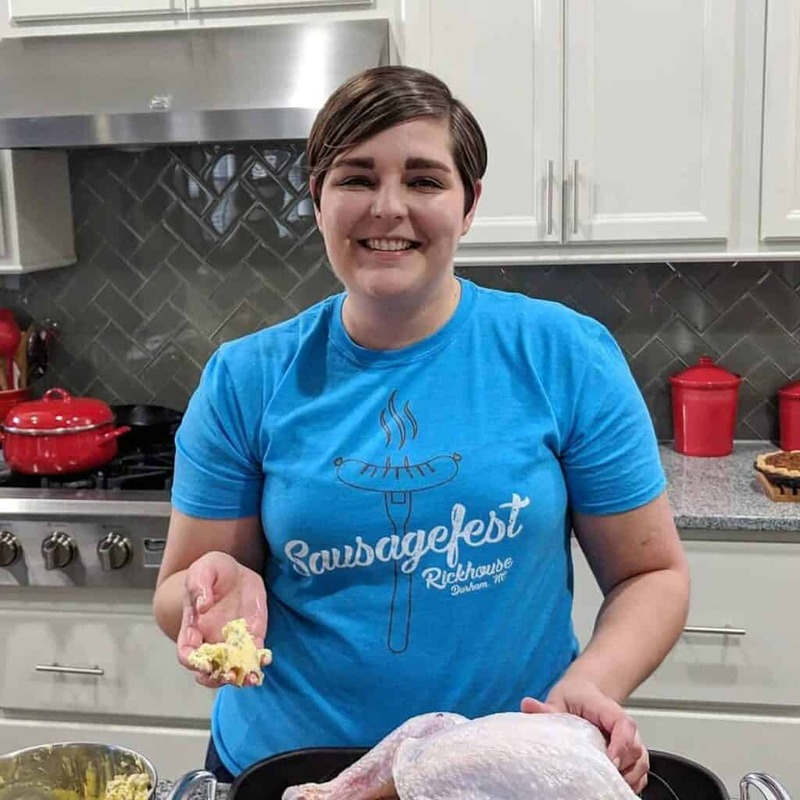 Stay tuned for that recipe! Pickled eggs are often pegged exclusively as a bar snack. And there’s a good reason for that. However, with Easter right around the corner, these purple beauties would be a fab way to use up leftover hard boiled eggs. Orrrr a great excuse to make some hard boiled eggs specifically for the purpose of making beet pickled eggs. You choose. Looking for other eggy recipes? Combine all of the liquid from canned beets (reserving the beets), apple cider vinegar, sugar, peppercorns, and pickling spice in a medium-sized saucepan. Bring everything to a slow simmer for 5 minutes, whisking occasionally to combine. Remove the saucepan from the heat and allow it to cool. Once the liquid is cool enough to handle, add approximately half of the reserved sliced beets, sliced red onion, and peeled hard boiled eggs. Transfer the entire mixture to a large container and refrigerate for at least 24 hours or up to 7 days. Cook the hard boiled eggs using whatever method you like. However, if you have an electric pressure cooker, the method detailed in my recipe for Classic Deviled Eggs is particularly easy.